Manchester United have identified Real Madrid’s Alvaro Morata as a top target for the 2017 summer transfer window. But there is one thing that is in the way of a potential deal, Real Madrid’s David de Gea fantasy. Real Madrid have inconveniently made De Gea their top transfer target this summer, making it near impossible for United to sign Morata without including De Gea in a transfer. Real Madrid are adamant on getting the Spanish goalkeeper and will only send a player the other way if they get David in return. Manchester United do not want to sell David de Gea and have put a high price tag on him – a fee that Madrid are not willing to pay (current finances are unknown as of now, hence the lack of clarification, although it has been reported by a number of outlets that the price is £70-80m). De Gea will not push for a move and is happy in Manchester. It seems that the only way the two players can switch teams is through a De Gea + cash transfer. 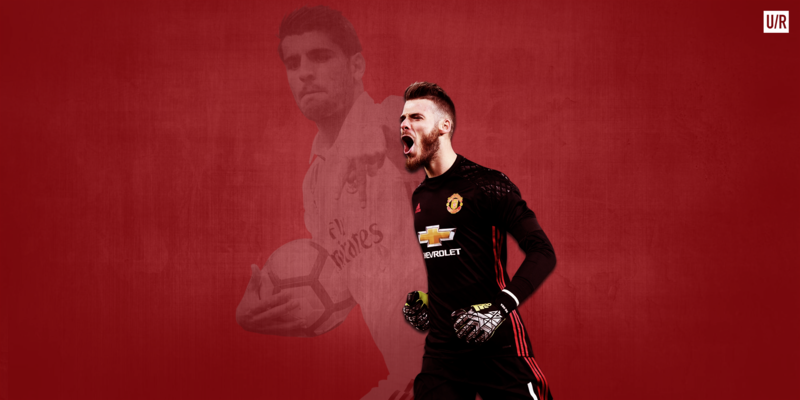 Due to this and the general stubbornness of the two clubs, the transfers of David de Gea to Real Madrid and Alvaro Morata to Manchester United are highly unlikely unless the clubs’ stances change – which doesn’t look like it will happen any time soon. A deal would have been completed in quick succession otherwise. AC Milan have spoken to Morata and agreed terms. They will now go onto negotiate with Real Madrid. The Madrid-born striker’s future is looking like it will be in Milano, and not Manchester.